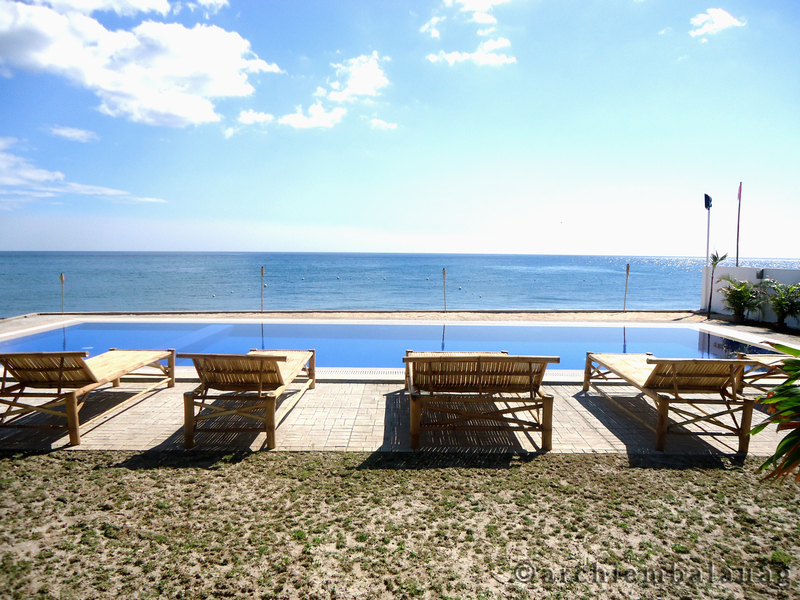 Beating The Heat At Island Waters Resort – Under The Glaring Sun Of Morong, Bataan | PADDYLAST INC.
We’re greeted by that very inviting sea! 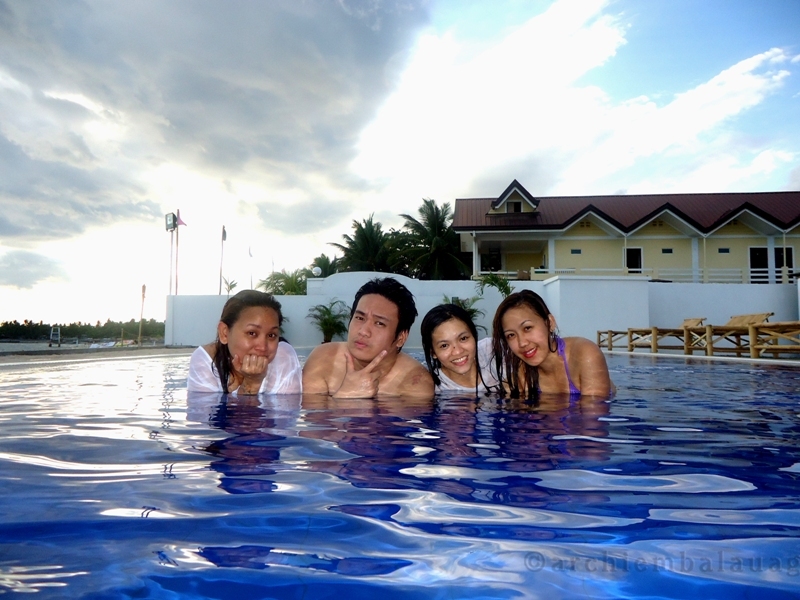 A couple of weeks ago, my travel buddies and I went to a very much recommended place in Morong, Bataan. 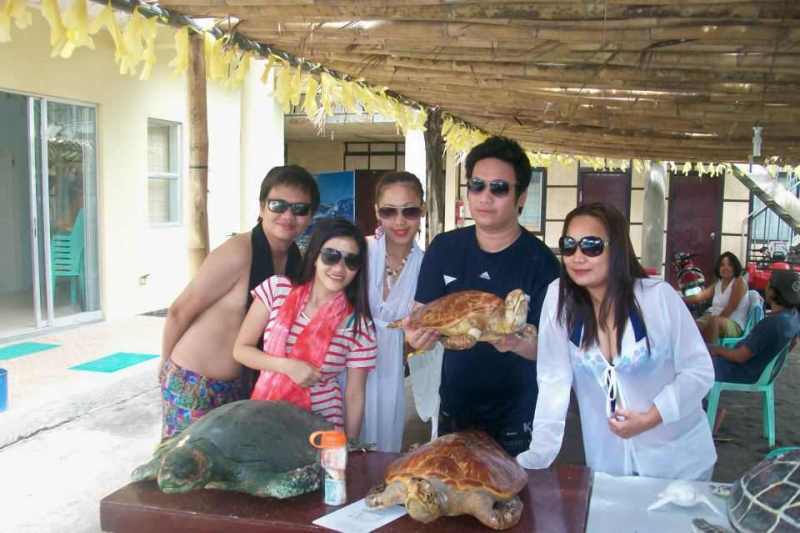 The travel time takes about 3 hours via Victory Liner Bus to Olongapo City in Zambales. From Olongapo, there’s a mini-bus that took us to Morong, Bataan. This is simply the right place for us to linger under the scorching heat of the sun this summer. 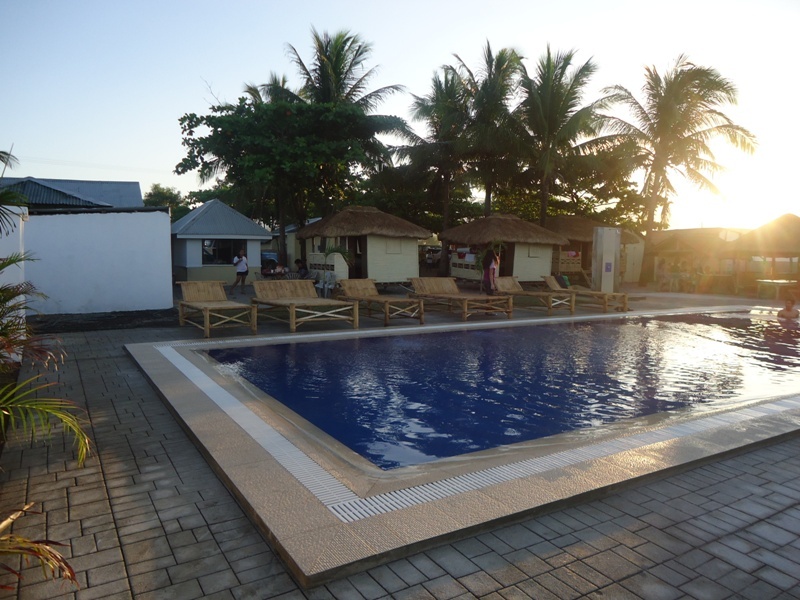 It’s a newly constructed vacation getaway along the beachfront of Morong. 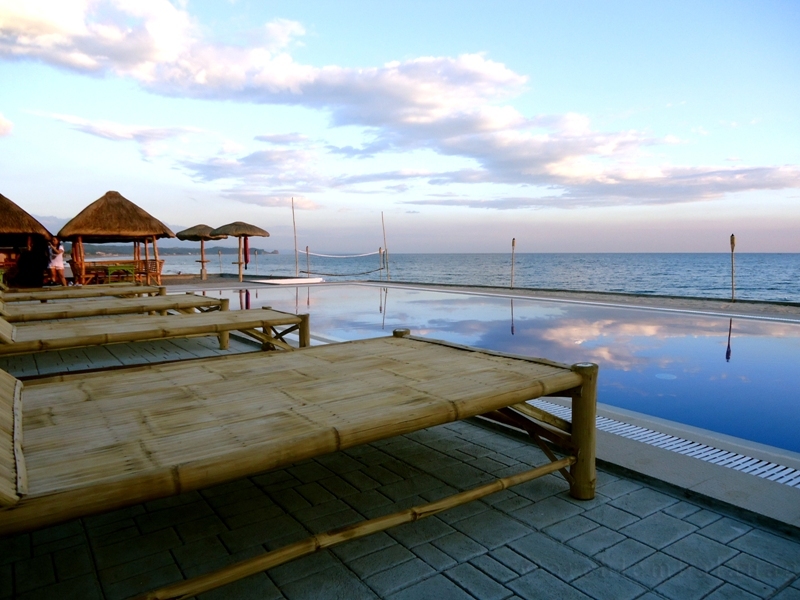 The place boast of “the only” infinity pool in the shoreline of beach houses and resorts. It is owned by a lovely and uber-accomodating couple who recently purchased the place and named it Island Waters Resort. It has a modern Western architecture infused with Asian designs. Enjoying the water and the sun! Whoot Hoot! Don’t you just love traveling when you’re with the coolest peeps ever???! The fun doesn’t stop at their infinity pool. We sang our hearts out at their karaoke and drank at the bar. (I missed taking some pictures here -we may have been too drunk to take some haha) You could also play Beach Volleyball (atleast we tried but we ended up laughing our arse off because no one seemed to know how to play the game! 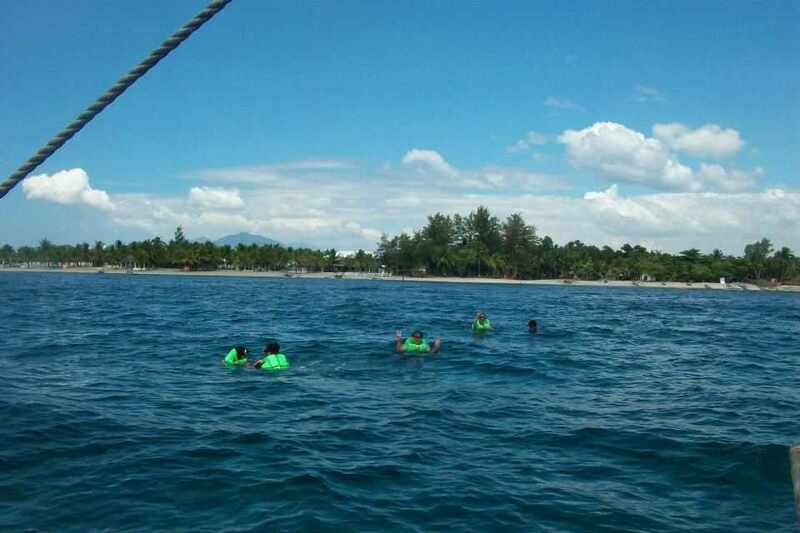 lol), we also rented a boat to take us to the newly built Pawikan Conservation Sanctuary. 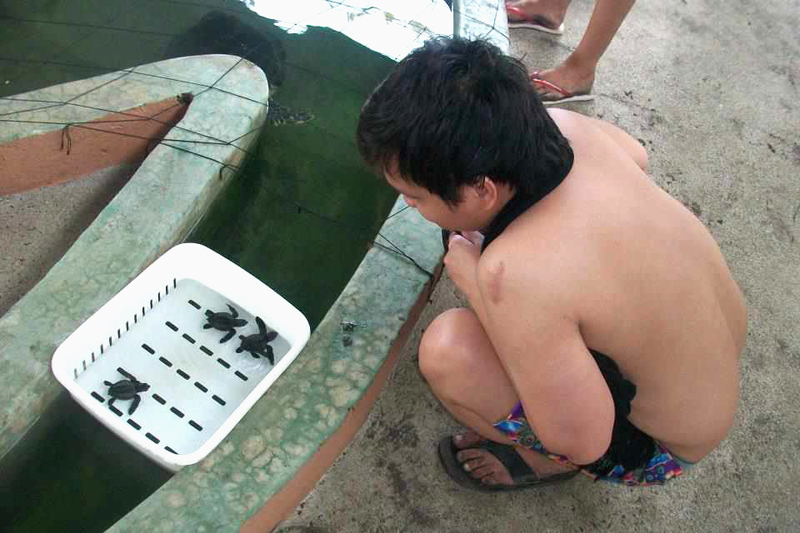 It’s a nice program of the town people which protects the Pawikan that lay their eggs in the shore of Morong. We also did a little snorkeling. 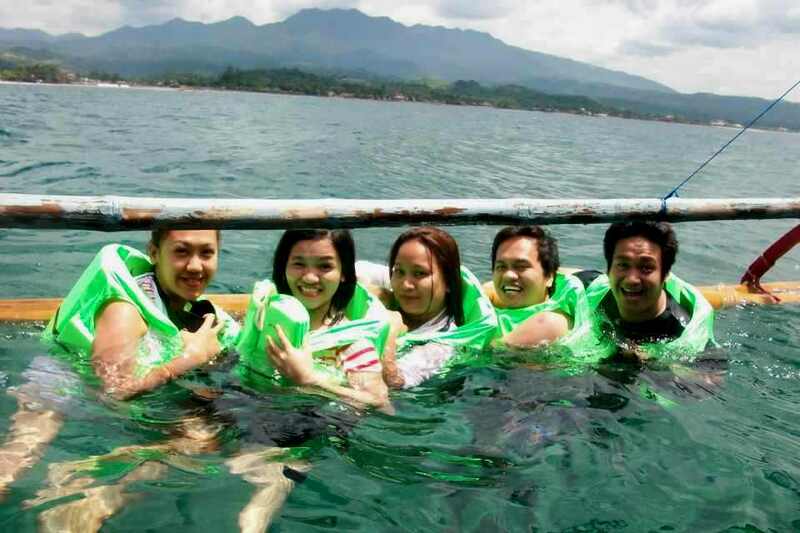 I personally do not know how to swim so it was a little nerve-wracking but it was all good since we’re given life vest to save me (us) from drowning haha. At the conclusion of the three days of swimming, singing, snorkeling, soul-searching haha, laughing and eating – I guess the best thing about this trip is spending it with a great bunch of people and savoring every moment of it. Man’ this is life! 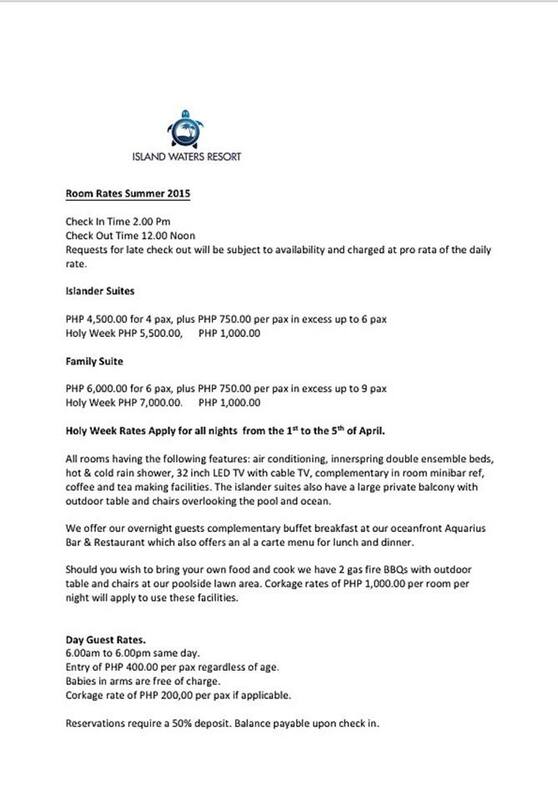 Since a lot of peeps were asking about the resort and I loved both my visits here – I decided to post the on-going rates they posted online – you can also check it out in the link above. This entry was posted in Event, Others, Personal, Places, Travel and tagged Bataan, Island Waters Resort. Bookmark the permalink. nice. It’s really nice that people are starting to notice how beautiful Morong is! 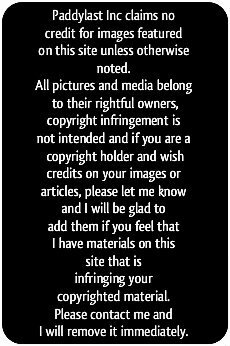 Thank you for this blog! Wowo! Nice swimming pool! Magkano po ang rates dito? beautiful pictures with happy people! 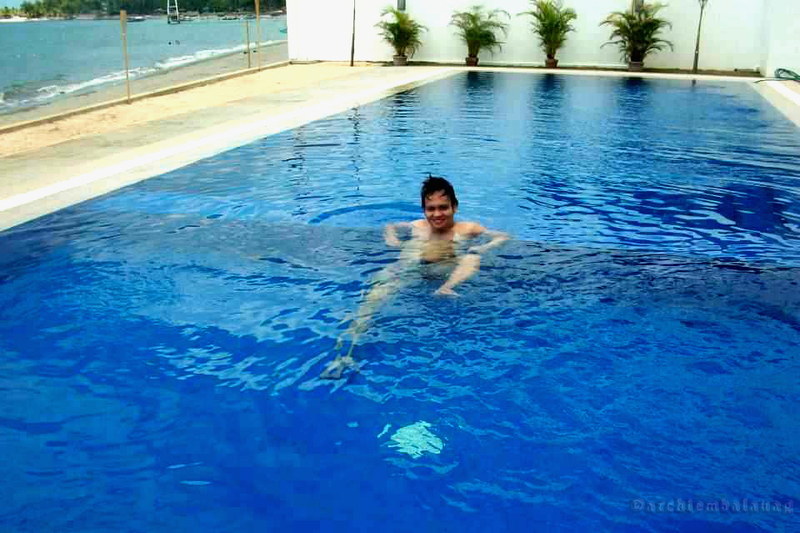 this makes me want to visit Bataan again and again! It’s the Araw ng kagitingan tomorrow! Sulong Bataan! Maganda talaga sa Morong. Hindi pa na eexplore na marami pero maganda talaga napaka smooth ng sand 🙂 thank you for this blog! I think it was about P800 boat ride where they took us to the Pawikan Conservatory (where you have to pay P10 / P20 for the entrance) and to the snorkeling site right after 🙂 We’re actually coming back two weeks from now.. 🙂 Enjoy the place! Reblogged this on Paddylast Travels…. Hey guys! We are planning to visit this resort this weekend. We’ll be commuting from Manila to Bataan. Though, I really have NO IDEA how to get here. 😦 Can anyone shed some answers, please? 🙂 Thanks! It’s very easy. 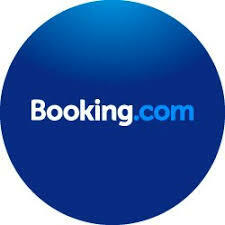 Much like what we did, we simply walked in at Victory Liner in Cubao and book at trip for Olongapo Cicty. From Gapo, there’s a mini-bus that will take you to Morong 🙂 From Morong, ask the tricycle driver/s to take you to the resort, tricy cost us about P50. Enjoy your weekend! any updates in this resort please? thank you. 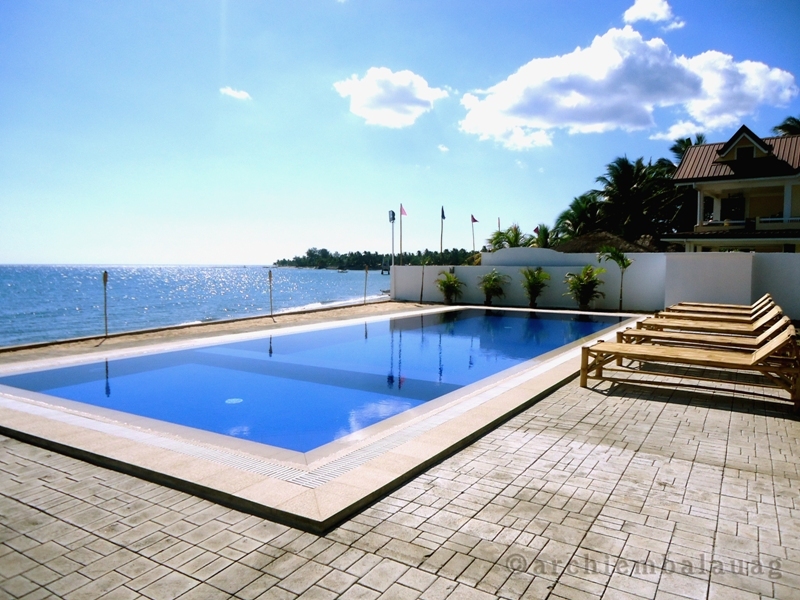 Pingback: King’s Birthday at Island Waters Resort | Ida O. Have you been there since they Updated the facilities, all new rooms. Big Change since last time.. You all need Take a look at their Facebook, Took my wife there for a little getaway , simply just perfect — Many new images on their FB page .. I saw their updated facilities on facebook! Awesome upgrade!!!! 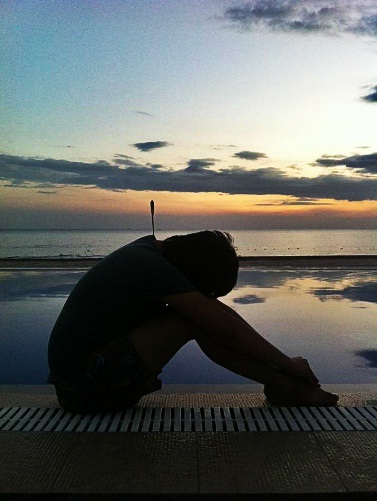 I’d really like to comeback when I have the time!!! Glad you enjoyed your stay there!